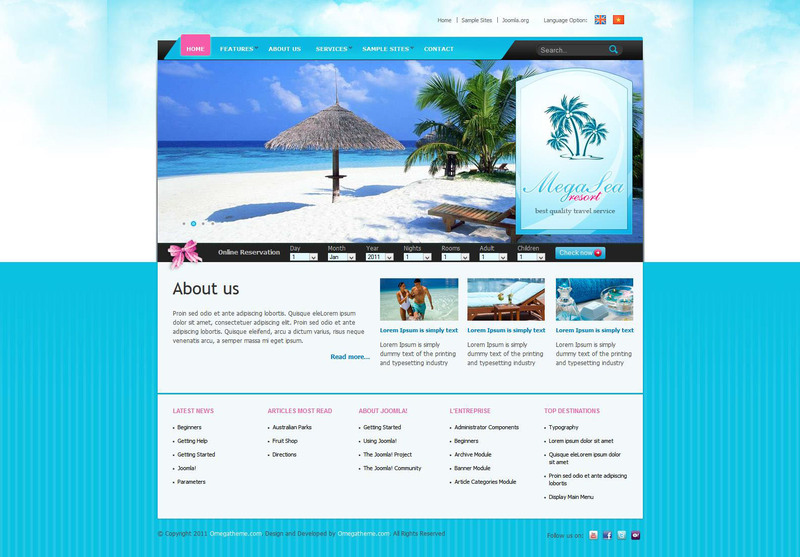 OT Sea Resort - easy template of popular topics on the studio OmegaTheme resort leisure, travel and tourism. Modern design layout is perfect for creating sites with reviews. This pattern has a well-optimized CSS and PHP files for search engines, has a quick download speeds, supports various versions of browsers, but also contains 19 flexible modular products. Third-party extensions that are included in the template, Banner Slider, Simple Gallery and Media Player complete the elegant design and give a special functionality and performance of the site. Built-in support for mobile devices, will properly display the site on any platform.